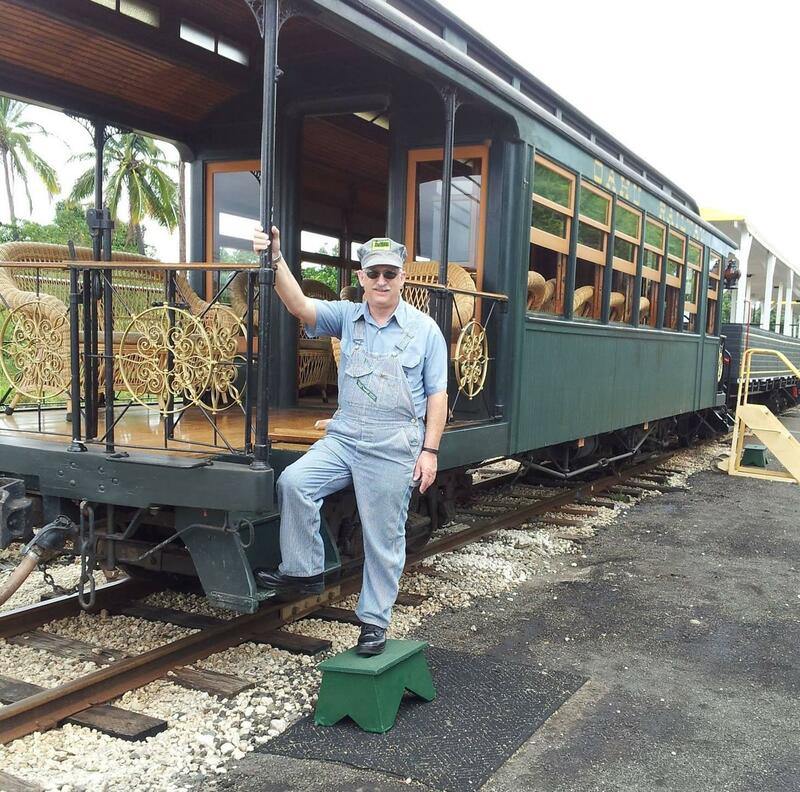 HRS operations manager Steve Vendt at the restored OR&L Parlor Car 64 that once carried Hawaiian royalty and dignitaries. The Hawaiian Railway Society in ʻEwa runs the only continuously operating historical railroad in the state. The non-profit has been working to preserve Hawaiʻi’s rich railroading history for nearly 50 years. HPR contributing reporter Jackie Young takes us on board the train once ridden by Hawaiian royalty. The Ewa No. 1 train was the only one of seven steam locomotives used on the 'Ewa Sugar Plantation from the 1870s to World War II that has been preserved. It now sits in the HRS parking lot. That’s Zack Jackson, head engineer for the Hawaiian Railway Society. He got hooked on trains when he was only 4, after his aunty brought him here for a ride. The Oʻahu Rail and Land Company was founded in 1889 by Benjamin Dillingham, under a franchise given to him by King Kalākaua. The line started in Honolulu, and stretched all the way to the leeward plain, carrying crops and goods, as well as passengers. Queen Liliuʻokalani and other royalty would ride in the lavish Parlor Car 64—now restored by HRS volunteers, and pūlled by a special locomotive, says the group's operations manager Steve Vendt. But with the advent of cars, OR&L stopped carrying passengers by 1947. It continued to haul containers of goods around downtown Honolulu until 1972. The Hawaiian Railway Society sign welcomes visitors to its parking lot. The Hawaiian Railway Society was started in 1971 to preserve the remaining 15 miles of original OR&L track, and any original rail cars that used to operate in Hawaiʻi. The non-profit’s regular weekend train rides and special weekday charter rides help keep operations running. In 2014, Vendt and his wife came up with the idea of 3 p.m. ice cream rides on the weekends. They are extremely popular. Holiday rides are also very popular. The restored Oahu Railway Parlor Car 64 once carried Hawaiian royalty and dignitaries in the 1800s. What do people like about the train rides? Here’s 15-year-old Shayna Santa Maria of Mililani. For more information, go to hawaiianrailway.com.